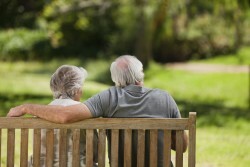 For seniors, good quality of life is just as important as longevity. Being “old” and being “older” are not the same thing. The challenges of aging may sometimes be as long a grocery list, including arthritis, menopause, osteoporosis, prostate issues, joint replacement, bone fractures, and general aches and pains. Akin to a health plan for athletes, chiropractic care—coupled with nutrition and exercise—can make your golden years most enjoyable. A report in The Annals of Internal Medicine about arthritis said 73% of those using chiropractic found it helpful to control pain, saying their prescription medication wasn’t doing the job. Osteoporosis is nearly epidemic in modern industrialized countries where diets are rich in meat and dairy products and the lifestyle is sedentary. 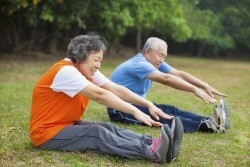 Lack of exercise leads to weak, demineralized bones, while regular physical exercise is known to strengthen bones and protect them from fracture. In addition to expected health concerns, something as simple poor sleep or sleeping position can foster chronic discomfort. While frequent office visits may be helpful at first, once you get on track with sustainable energy and verve, monthly or quarterly visits can keep your body supple, your bones strong, pain and discomfort to a minimum, and your joy greater.